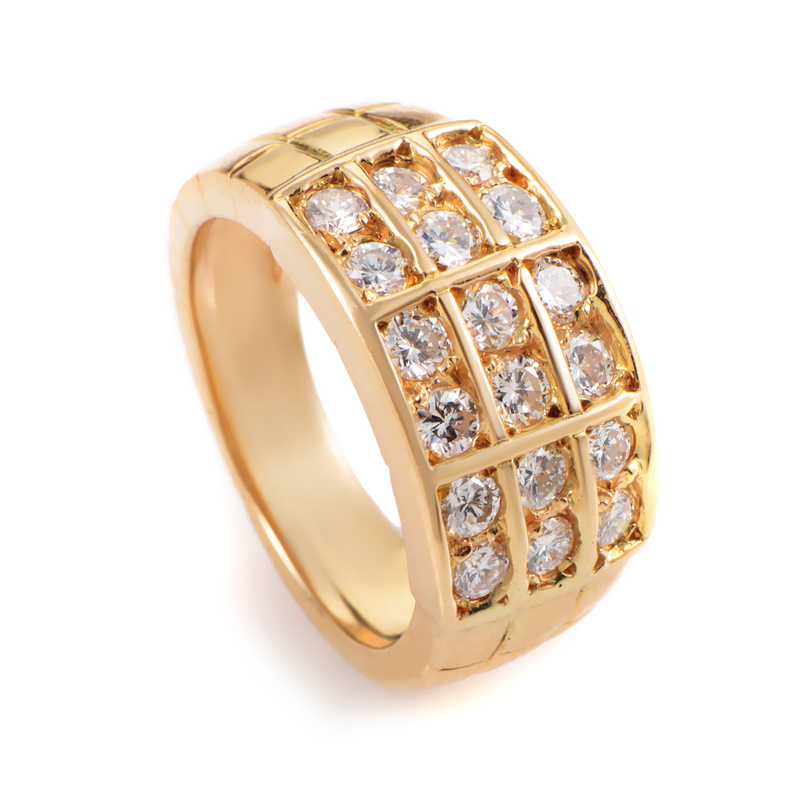 "Mauboussin 18K Yellow Gold Diamond Band Ring"
"A resplendent ring by the well established house of Mauboussin, this 18K yellow gold tapered shank provides a warm, gleaming base and intriguing setting that gives the impression of bar settings while holding the ~1.10ct of diamonds in bright-cut settings. 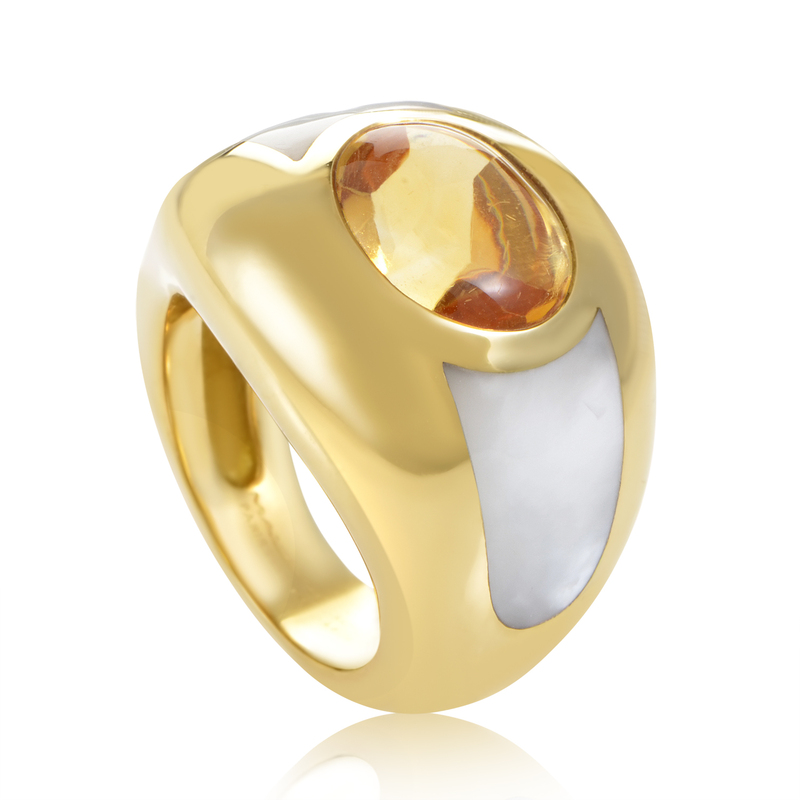 The shank is detailed with a lined pattern that continues the flow of the setting for a smooth continuation. Brand: Mauboussin Gender: Womens Condition: Excellent Material: 18K Yellow Gold Stones: Diamond Weight: 8 grams Metal Stamp: 750 Diamond Carat Weight: 1.10 Comes With TrueFacet Valuation Report"
"Mauboussin 18K Yellow Gold Citrine & Mother of Pearl Bombe Ring Sz 4.5"
"Mauboussin 18K Two Tone Gold Star Ring"
"Mauboussin 18K Yellow Gold & 2.25ct. 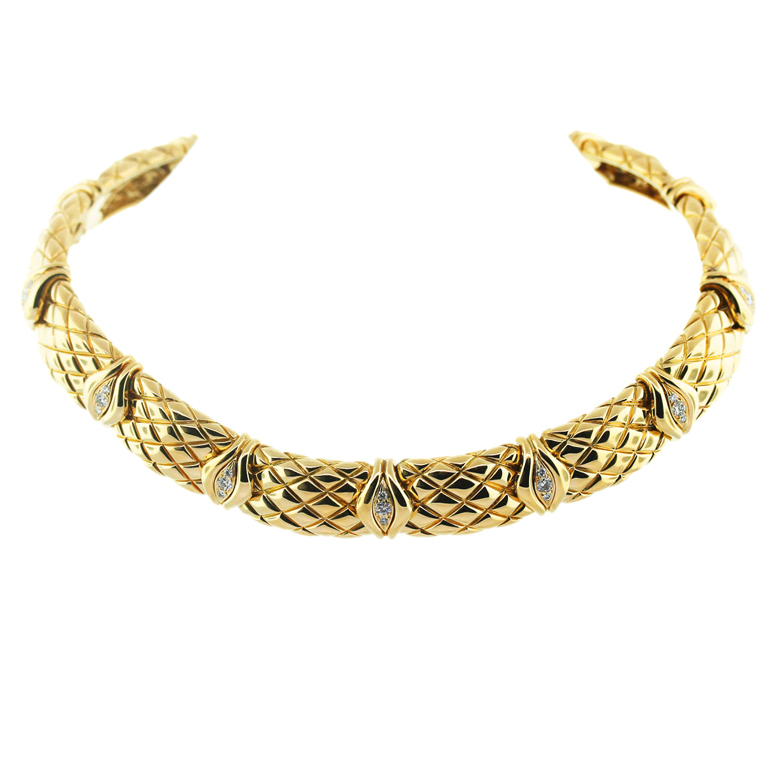 Diamond Choker Necklace"
"Mauboussin 18K Yellow Gold & 2.25ct. Diamond Choker Necklace Features: Brand: Mauboussin Gender: Womens Condition: Excellent Material: 18K Yellow Gold Stone: 2.25ct. Diamond, G/H in Color, VS in Clarity Weight: 220.6g (141.8dwt)"